Sometime in late 1924 or early 1925, my grandfather Chas. Lowry was photographed for the first time. 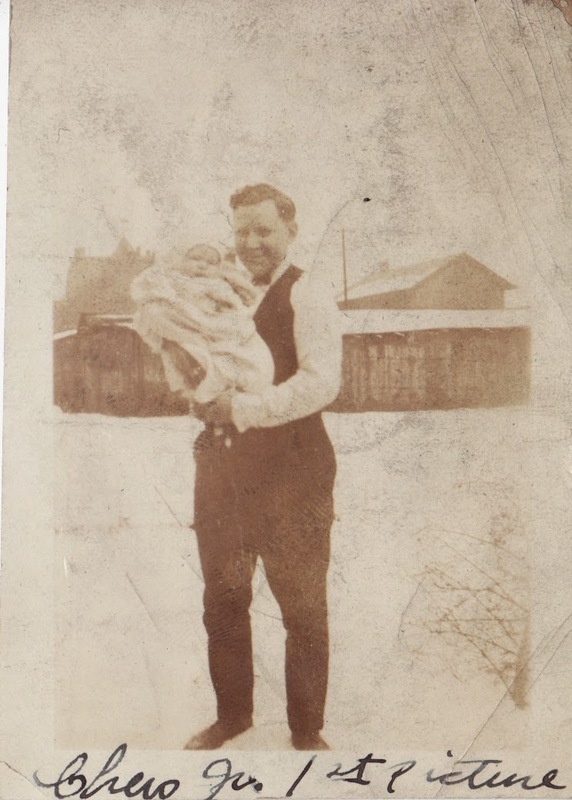 He’s outside, probably in Leetonia, Ohio, being held by his proud father Charles. I remember the joy and excitement I felt when the first photo was taken of me holding my son and I can only imagine that 90 years prior, the exact same emotions were being felt. As evident in the caption, my grandfather was called Junior as a youngster, even though the nickname is slightly misapplied. His middle name was James while his father’s middle name was Edward. I’m going to assume this photo was taken outdoors because indoor photography in the 1920s was clearly not something that would produce usable photos without large flashes not commonly used on personal cameras. I love how over the years, things don't change, they really don't. That's a great picture, and you can see how proud he was!